After Portugal, you have other 991 places left to see around the world, and many of them are Portuguese-built, from “one of the world’s greatest enclaves of Baroque architecture” that is Brazil’s Ouro Preto to long-forgotten constructions like Ghana’s Elmina Castle. Perhaps in a future edition the author will also discover Portugal’s Azores, the Coa Valley or the promontory of Sagres, all with a must-feel/must-see mystical atmosphere. When in Lisbon, many travelers choose to then move on to the beaches of Algarve while others head north to the country’s second city, Porto. This summer you should go for the second option, as it also offers beaches nearby together with a major cultural renaissance. Here are the five main reasons to go now. There’s a new “wine hotel” that’s not only one of Porto’s top accommodation choices but also one of Portugal’s best. Facing the city’s majestic skyline on the other side of the river, The Yeatman‘s inspiration is the famous wine that Porto is famous for. 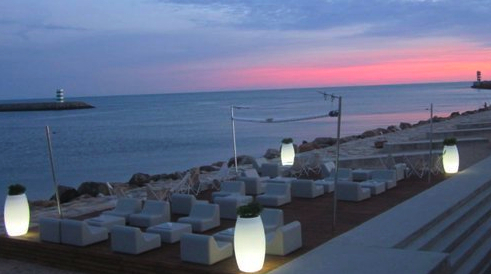 In addition to the luxury of the rooms, it also offers a wonderful spa and restaurant. Even if you’re not staying at the hotel, you may experience its refined gastronomic choices at the Yeatman Restaurant. Outside, you’ll find countless centuries-old wineries offering free guided tours and wine tastings. Downtown Porto (including the monumental Avenida dos Aliados) has undergone a major renovation over the past few years and is now a vibrant area at any time of the day. A new InterContinental hotel just opened a few days ago in a palace facing the city’s main avenue, and several cafÃ© terraces and bars have given downtown a lively ambience. 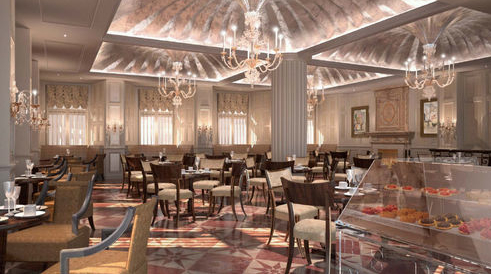 The new hotel also brought back to life an old cafÃ© in the same building (CafÃ© AstÃ³ria), and other hotspots to check out on the renovated avenue include Casal Lounge and the always-popular Guarany cafÃ©. Head to the upscale district of Foz where the Douro meets the Atlantic and enjoy the fresh air of the sea. The brand-new Deck Foz is just one option but there are also the already-classic Praia da Luz and Homem do Leme. End your day (or night) at the latest hotspot in the city, the rooftop terrace Zenith Lounge. It offers moonlit views of Porto and its river together with cocktails and DJ sounds. 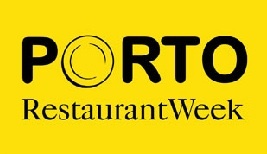 Closer to downtown, the latest buzz points to Vila Porto, a club hosting the hottest weekend parties in town. The Financial Times’ monthly magazine “How to Spend It” always features a city in its “The Long Luxurious Weekend” column. 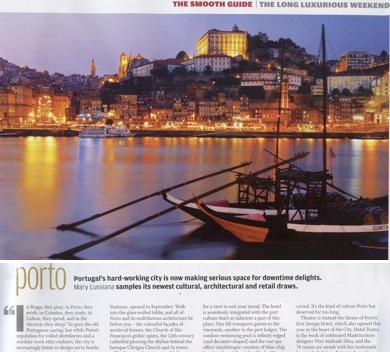 Lisbon was highlighted in the February 2009 issue (as reported here: “Lisbon for a Long Luxurious Weekend“), and the December 2010 issue has chosen Porto. 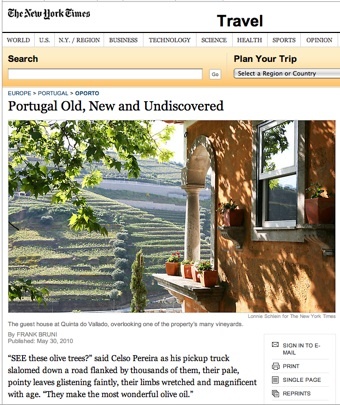 The reason for the trip was the new luxury “wine hotel” The Yeatman, but the author found that the city is “increasingly home to design-savvy hotels” like the recent Hotel Teatro and the PalÃ¡cio do Freixo Pousada. Porto is “now echoing with vibrant culture,” and among the featured attractions in the article are the Rem Koolhass-designed Casa da Musica and the Serralves Museum. The city is also described as a “first-class walking city,” and a visit to the riverside Foz is recommended for its “signature boutiques” and “buzzing” restaurants.